Economic Psychology is the only up-to-date, English-language textbook that provides a comprehensive overview of theoretical topics in economic psychology and their relevance in applied fields. Written by two leading psychologists, the book looks at how people make decisions on the use of scarce resources, in particular money, from a psychological perspective. Starting with decision making and lay theories as basic building blocks of economic behaviour, the authors go on to explore three major markets where economic behaviour occurs as an interaction between individuals and companies or institutions - consumer markets, labour markets and financial markets - before considering the challenges of collective cooperation and economic prosperity. Featuring numerous applied examples throughout, each chapter also includes an overview, a summary, figures, key terms, student questions and suggestions for further reading. 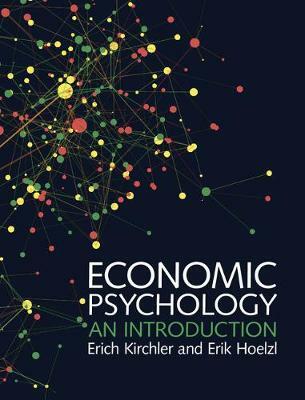 This introduction is an essential resource for advanced undergraduate and postgraduate courses on economic psychology, behavioural economics and social psychology.